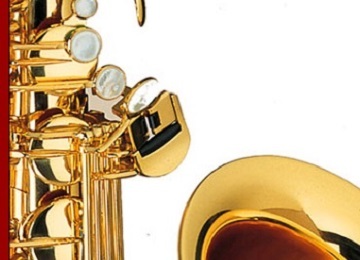 Woodwind & Brass Repairs done Quick, done Right, and Yes ...Affordable too! Mike Nye Instrument Repair, located in Tempe, Arizona since 1996, strives to do the highest quality work at a reasonable price. 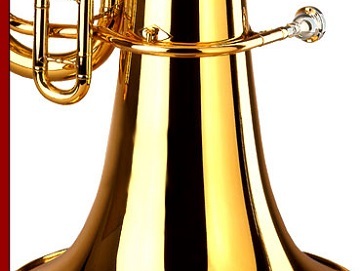 We now offer a vastly different rental program that offers you the opportunity to purchase the instrument, after your first payment, for half the remaining balance. Click on the RentMyInstrument logo below to get started. If you cannot afford to buy one, we understand. We also offer a lay away program to help you. 25% down and four months to pay off the other 75%. When you rent, ONLY the rental portion of the payment goes towards the RETAIL price of the instrument. They are not ripping you off, they are doing business and have to make money to keep the doors open. However, you can save a bundle by buying used or new today. We are laser focused to give you only the repairs needed. Nothing more, nothing less. We do our very best to keep things affordable without compromising quality. We only carry accessories we need to, which helps us keep your costs down. NOBODY in the valley stays as current with training, tools, equipment and techniques. It also helps keep the turn around down. Another drop off location. We are excited to join talents with Superstition Mountain Music Instrument Repair, as they are also the new home for M-Tronics, one of the few electronics repair places in the valley. They also do string repair which opens another avenue for servicing our customers. No Interest, Layaway available for ALL instruments for sale. We are pleased and proud to be partners with some amazing charities that do great things for our community. Desert Sounds & Restore Arts both collect and distribute instruments to who otherwise cannot afford one. Honor House's Instruments 4 Success collects them for wounded vets that need another outlet for expression. All of these organizations do great things. Please consider clicking on their links, reading about them and possibly helping in whatever way you can. For a repair shop for symphonic strings go to: Andrew's Fine Violins. 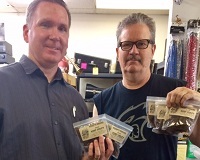 Employee of the Month - Congrats to Troy, the jerky guy, for receiving the much coveted Employee of the Month award and for bringing the best jerky in town with him.